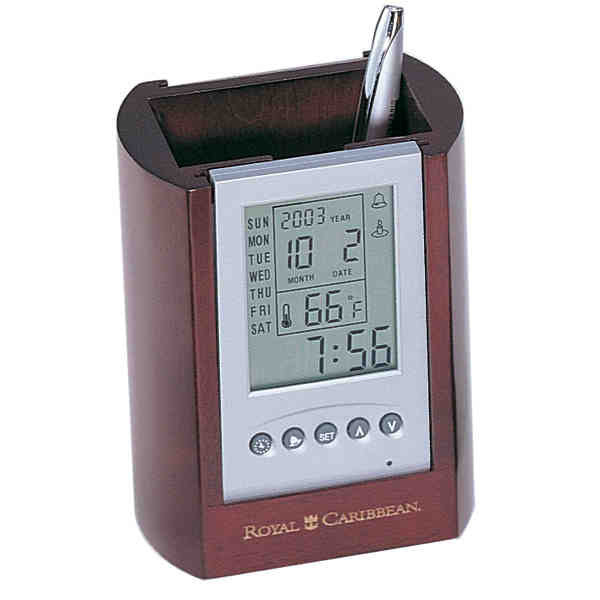 A rosewood finish pencil cup with digital display and picture frame on the back. The digital display shows the calendar, time, and temperature all on one screen. The picture frame on the back is suitable for photos 2-1/4" x 4". Size: 3 7/8 " x 2 7/8 " x 4 3/4 "
Imprint Size:2 1/4" x 1"